Enjoy a complete wildlife immersion in South Africa’s Greater Kruger, tracking big cats and other predators, before heading to the idyllic Benguerra Island in Mozambique for a luxury safari that uncovers a different world – one where you might encounter an endangered dugong or a potato grouper – deep beneath the Indian Ocean. 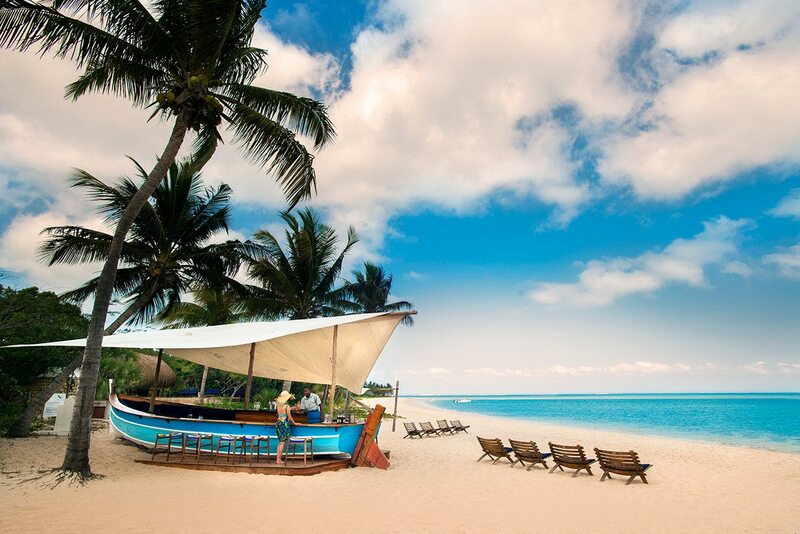 Mixed savannah and woodland landscapes of Greater Kruger contrast with the tranquil, near translucent turquoise waters that lap the shores of Benguerra Island, a tropical island hideaway. Opportunities for close encounters with big cats and the Big 5, to track animals on foot, to experience night drives, to snorkel the reefs of Mozambique, to dine on sandbar, to explore a tropical island on horseback and to see dugong. 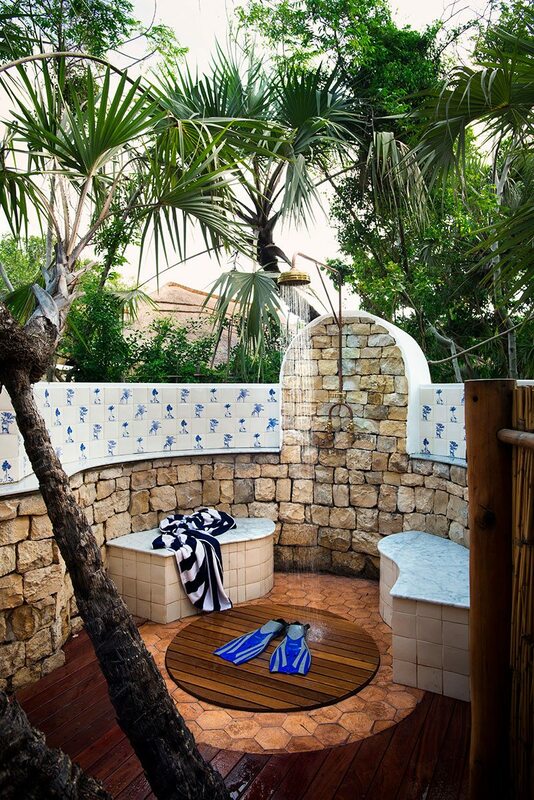 Luxury safari accommodation including charming suites overlooking manicured lawns and bushveld at Kirkman’s Kamp, and beachside suites with private pools set amid the palms at Benguerra Island Lodge. For more information see Kirkman’s Kamp and Benguerra Island Lodge. 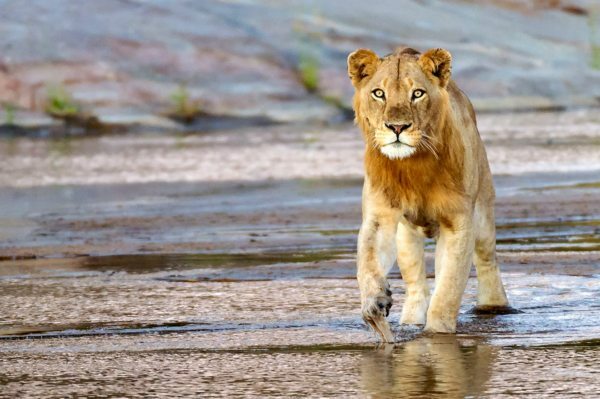 We’d come to Greater Kruger hoping to see big cats up close, and Kirkman’s Kamp (in the untamed nature of Sabi Sands Game Reserve) whispered the promise of spectacular sightings. After settling in at our grand suite, we jumped into our open-topped safari vehicle with our guide and spotter, immediately sharing our fervent desire to see lion and leopard. We traversed thick bush until our tracker directed us to three lion lying supine beneath a tree, as peaceful as housecats, yet undeniably regal. 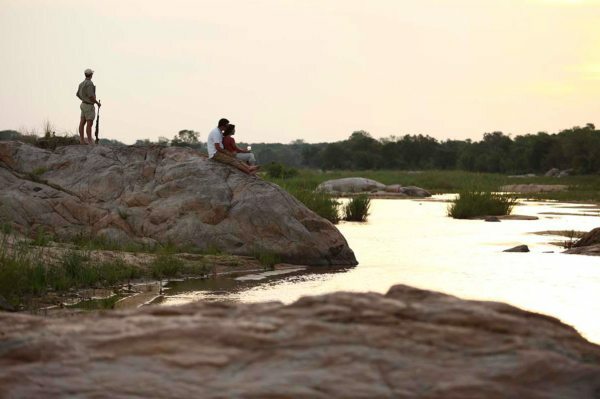 We watched them lounge there lazily until it was time for sundowners and snacks next to the river.The next morning we left the lodge on a walking safari to learn more about the art of tracking Kruger’s wildlife on foot. Our tracker told us he’d learned to track from his father, a ranger. He immediately demonstrated his skills by pointing out the tracks of a solitary old lion, and later, a nocturnal aardvark! Leopard tracks caused a state of nervous excitement, and we followed them to a dry riverbed, where we found a young male on the branch of a tree. Shutters whirring, we took photographs from every possible angle, while keeping a safe distance!Our third day took a lazy start; after breakfast we relaxed by the rim-flow swimming pool. My partner decided on a spa treatment, and missed seeing a family of warthog wandering past! After lunch we did some birdwatching from our verandah, calling out the names of the birds we could identify. Afternoon high tea was a feast; petits fours, scones and tea served on manicured lawns. The real excitement came with a night game drive to see if we could find an aardvark. While it proved elusive, spotting buffalo and a portly porcupine more than made up for its reclusiveness.We left before dawn on our last bush walk, to further explore the landscape surrounding the Sand River. We were thrilled to see a herd of elephant at the riverbank, sharing the waters with a pod of snorting hippo. 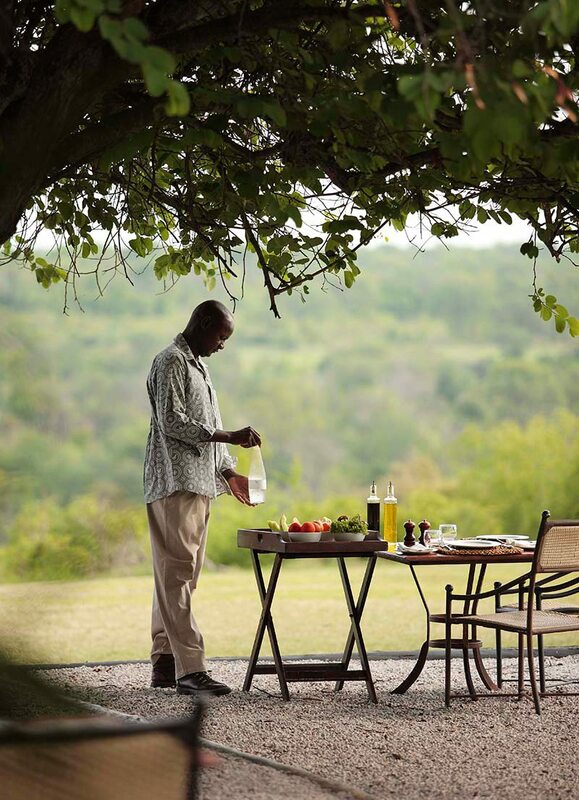 Breakfast was in the bush, and the rest of the day passed in a blur of delicious foods and relaxation. Although we’d enjoyed great dinners in the 1920s dining hall, our final meal was a highlight; it was served in the boma under the stars as we shared stories of recent sightings, including a cheetah seen scouting the area from a termite mound!Before breakfast and our flights to Vilanculos, we had just enough time for one last game drive – where a large bull rhino sighting was our parting gift from South Africa’s incredible Sabi Sands Game Reserve. We’d come to Greater Kruger hoping to see big cats up close, and Kirkman’s Kamp (in the untamed nature of Sabi Sands Game Reserve) whispered the promise of spectacular sightings. 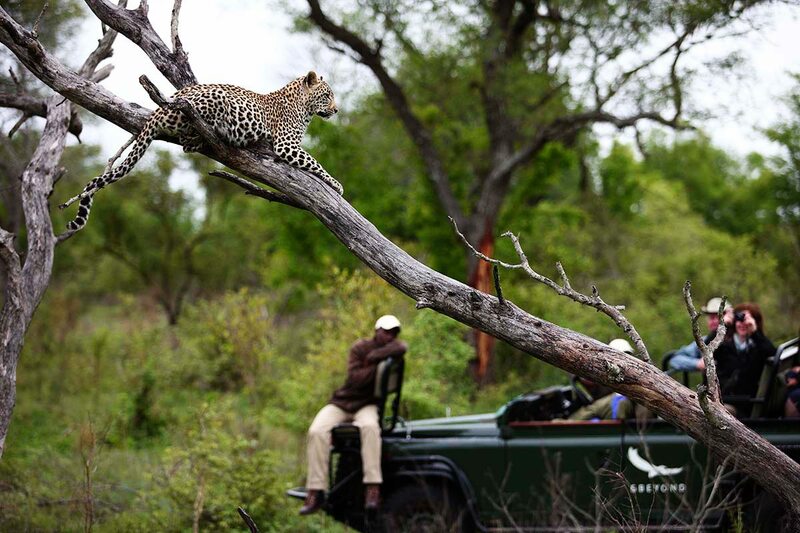 After settling in at our grand suite, we jumped into our open-topped safari vehicle with our guide and spotter, immediately sharing our fervent desire to see lion and leopard. We traversed thick bush until our tracker directed us to three lion lying supine beneath a tree, as peaceful as housecats, yet undeniably regal. 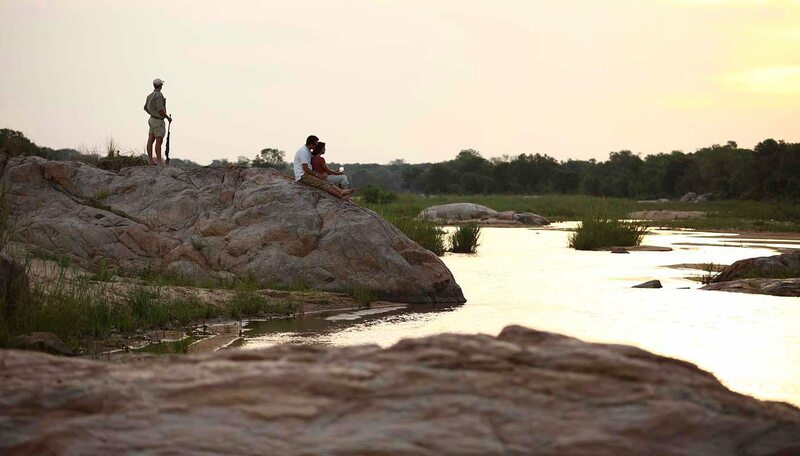 We watched them lounge there lazily until it was time for sundowners and snacks next to the river. The next morning we left the lodge on a walking safari to learn more about the art of tracking Kruger’s wildlife on foot. Our tracker told us he’d learned to track from his father, a ranger. He immediately demonstrated his skills by pointing out the tracks of a solitary old lion, and later, a nocturnal aardvark! Leopard tracks caused a state of nervous excitement, and we followed them to a dry riverbed, where we found a young male on the branch of a tree. Shutters whirring, we took photographs from every possible angle, while keeping a safe distance! Our third day took a lazy start; after breakfast we relaxed by the rim-flow swimming pool. My partner decided on a spa treatment, and missed seeing a family of warthog wandering past! After lunch we did some birdwatching from our verandah, calling out the names of the birds we could identify. Afternoon high tea was a feast; petits fours, scones and tea served on manicured lawns. The real excitement came with a night game drive to see if we could find an aardvark. While it proved elusive, spotting buffalo and a portly porcupine more than made up for its reclusiveness. We left before dawn on our last bush walk, to further explore the landscape surrounding the Sand River. We were thrilled to see a herd of elephant at the riverbank, sharing the waters with a pod of snorting hippo. Breakfast was in the bush, and the rest of the day passed in a blur of delicious foods and relaxation. Although we’d enjoyed great dinners in the 1920s dining hall, our final meal was a highlight; it was served in the boma under the stars as we shared stories of recent sightings, including a cheetah seen scouting the area from a termite mound! Before breakfast and our flights to Vilanculos, we had just enough time for one last game drive – where a large bull rhino sighting was our parting gift from South Africa’s incredible Sabi Sands Game Reserve. At Vilanculos airport we were met by a helicopter that would take us to Benguerra Island, which is on the Bazaruto Archipelago off the coast of Mozambique. We whirred across streaks of white sand that were little more than sandbanks, past forested islands and brilliantly blue waters, landing at Benguerra Island Lodge.Set on a deep lagoon within a lush tropical forest, with views across a pearly white sand beach into the turquoise Indian Ocean, Benguerra Island Lodge was idyllic. It didn’t take much to convince my partner that we should spend our first afternoon enjoying our luxury beachside suite – with the only decisions left to make being whether to lounge in a hammock, in the daybed or at the infinity pool. As the sunset heralded the end of the day, we enjoyed a simply delicious seafood platter and cocktails on our private deck, listening to the sound of the incoming tides lapping the shore.Though one could easily get lost in a book, while away hours in the sun or indulge in mouthwatering meals, our mission the next day was to snorkel the coral reefs that thrive in this marine sanctuary, which we did from an inflatable boat. The profusion of fish species was mind-blowing; we saw manta rays and countless zebra and parrot fish, a large potato grouper, and most astounding of all, the elusive dugong, which appeared to be standing on its tail with its head above water to breathe! Hot chocolate kept us warm as we headed back for a belated lunch.Late the next morning, we went down to the beach where a dhow awaited us. Setting sail through turquoise waters, we anchored next to a crescent-shaped sandbank, visible only when low tides allowed it to be kissed by the sun. While we swam, the crew set up a private sandbar picnic and left us to our own devices. After filling our bellies, we snorkelled with curious parrot fish, butterfly fish, Moorish idols and clownfish. Back on our tiny island paradise, the tides were coming in, so we picked up pansy shells before they disappeared into the ocean as our dhow arrived.We slept in and had a late breakfast before a guided horse-riding trip to explore the second-largest island in the archipelago. A gleaming chestnut mare and a black stallion were our trustworthy steeds, taking us all over the island to discover forests, wetlands and a freshwater lake, where we had a lovely picnic. We visited a local village, where we learned about the local culture, and bought some souvenirs. Later, we enjoyed dinner and drinks at the outdoor bar – made from a reclaimed dhow – and contemplated whether life could get any better than this.After another superb day spent fishing and sunbathing on the beach, we set sail on a sunset dhow cruise. At this hour, the play of light from the setting sun turned the water into a myriad of colours: blues, pinks, purples and indigos. We joined another couple on the dhow, and toasted each other with flutes of sparkling wine. It was almost clichéd – although no less amazing – when a school of dolphin appeared at our prow, seemingly escorting us as the sun disappeared behind the horizon. The day ended with another sumptuous meal on our deck, as we gazed into an inky sky glittering with stars.We made the most of our last day of our Benguerra Island safari by going on a catamaran cruise of the Bazaruto Archipelago. 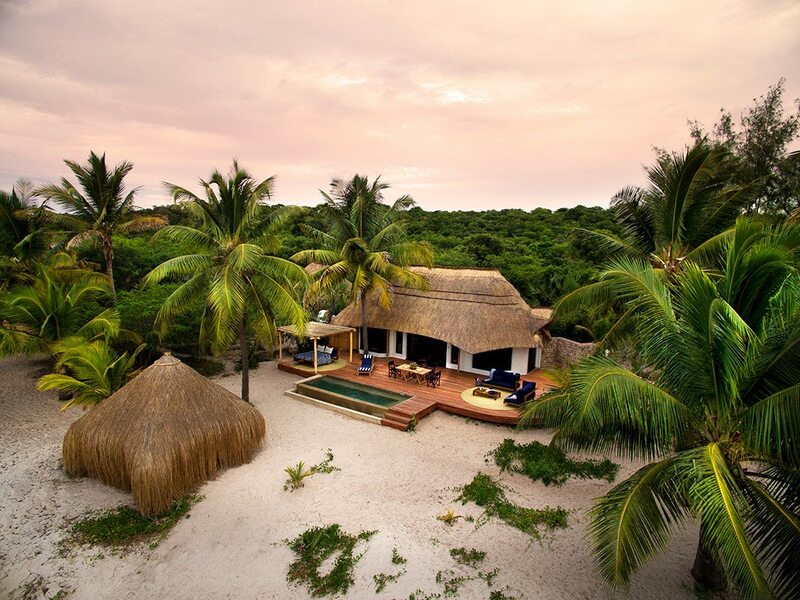 While we saw some of the beautiful tropical islands and pristine coral reefs that make up this stunning Mozambique hideaway, we were pleased to remark that Benguerra Island was by far our favourite. The wonderful staff at Benguerra Island Lodge had one last surprise for us too – a private dinner served on a deserted stretch of beach, lit only by lanterns and the stars. We couldn’t have asked for a more perfect send-off. At Vilanculos airport we were met by a helicopter that would take us to Benguerra Island, which is on the Bazaruto Archipelago off the coast of Mozambique. We whirred across streaks of white sand that were little more than sandbanks, past forested islands and brilliantly blue waters, landing at Benguerra Island Lodge. Set on a deep lagoon within a lush tropical forest, with views across a pearly white sand beach into the turquoise Indian Ocean, Benguerra Island Lodge was idyllic. It didn’t take much to convince my partner that we should spend our first afternoon enjoying our luxury beachside suite – with the only decisions left to make being whether to lounge in a hammock, in the daybed or at the infinity pool. As the sunset heralded the end of the day, we enjoyed a simply delicious seafood platter and cocktails on our private deck, listening to the sound of the incoming tides lapping the shore. Though one could easily get lost in a book, while away hours in the sun or indulge in mouthwatering meals, our mission the next day was to snorkel the coral reefs that thrive in this marine sanctuary, which we did from an inflatable boat. The profusion of fish species was mind-blowing; we saw manta rays and countless zebra and parrot fish, a large potato grouper, and most astounding of all, the elusive dugong, which appeared to be standing on its tail with its head above water to breathe! Hot chocolate kept us warm as we headed back for a belated lunch. Late the next morning, we went down to the beach where a dhow awaited us. Setting sail through turquoise waters, we anchored next to a crescent-shaped sandbank, visible only when low tides allowed it to be kissed by the sun. While we swam, the crew set up a private sandbar picnic and left us to our own devices. After filling our bellies, we snorkelled with curious parrot fish, butterfly fish, Moorish idols and clownfish. Back on our tiny island paradise, the tides were coming in, so we picked up pansy shells before they disappeared into the ocean as our dhow arrived. We slept in and had a late breakfast before a guided horse-riding trip to explore the second-largest island in the archipelago. A gleaming chestnut mare and a black stallion were our trustworthy steeds, taking us all over the island to discover forests, wetlands and a freshwater lake, where we had a lovely picnic. We visited a local village, where we learned about the local culture, and bought some souvenirs. Later, we enjoyed dinner and drinks at the outdoor bar – made from a reclaimed dhow – and contemplated whether life could get any better than this. After another superb day spent fishing and sunbathing on the beach, we set sail on a sunset dhow cruise. At this hour, the play of light from the setting sun turned the water into a myriad of colours: blues, pinks, purples and indigos. We joined another couple on the dhow, and toasted each other with flutes of sparkling wine. It was almost clichéd – although no less amazing – when a school of dolphin appeared at our prow, seemingly escorting us as the sun disappeared behind the horizon. The day ended with another sumptuous meal on our deck, as we gazed into an inky sky glittering with stars. We made the most of our last day of our Benguerra Island safari by going on a catamaran cruise of the Bazaruto Archipelago. 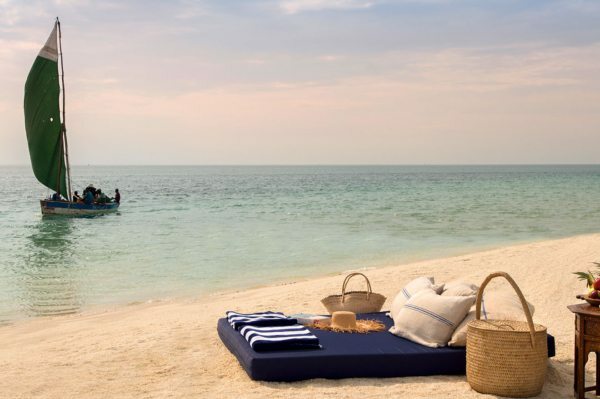 While we saw some of the beautiful tropical islands and pristine coral reefs that make up this stunning Mozambique hideaway, we were pleased to remark that Benguerra Island was by far our favourite. 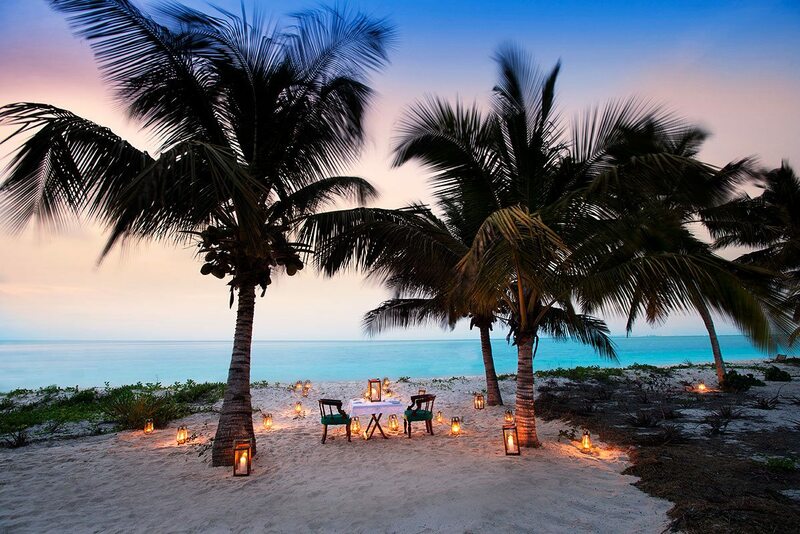 The wonderful staff at Benguerra Island Lodge had one last surprise for us too – a private dinner served on a deserted stretch of beach, lit only by lanterns and the stars. We couldn’t have asked for a more perfect send-off. From the untrammeled wilderness of Greater Kruger to the tranquility and underwater magic of Benguerra Island, this safari gave us the best African adventure we could have asked for.Travelling through South Africa’s Greater Kruger, we discovered the remnants of a grand colonial era – and stepped right into character with leisurely afternoon high teas and G&Ts over sunset.But perhaps the greatest impact of our South African safari was the intense, up-close-and-personal wildlife encounters we enjoyed: seeing somnolent lions that seemed to stare right through us, tracking a leopard until we were able to photograph it at its treetop lair (an image captured for a lifetime on our memory cards!) and the various wildlife encounters out in the bush (on foot, at night and often twice daily! ).These moments didn’t just leave a lasting impression, they became rooted in our consciousness, leaving us with a deep and abiding connection with nature.When you take into account our island holiday on the Bazaruto Archipelago, and the incredible marine safaris we experienced there, it wouldn’t be an exaggeration to say it was almost transformative – we started our holiday as ordinary city folk and left as keen environmental custodians, passionate about conserving wildlife sanctuaries.After all, we wanted our children to see the miracle of an dugong ‘standing’ in the ocean to breathe, to discover fantasy coral worlds and build sandcastles on a sandbar that’s there for a brief moment in time, only to reappear with the changing tides, never the same.Whether we were on safari in a nature reserve, relaxing on an idyllic beach or enjoying action-packed adventure, it was always at our own pace. Our luxury safari and beach holiday was everything we could have asked for – and more. From the untrammeled wilderness of Greater Kruger to the tranquility and underwater magic of Benguerra Island, this safari gave us the best African adventure we could have asked for. Travelling through South Africa’s Greater Kruger, we discovered the remnants of a grand colonial era – and stepped right into character with leisurely afternoon high teas and G&Ts over sunset. But perhaps the greatest impact of our South African safari was the intense, up-close-and-personal wildlife encounters we enjoyed: seeing somnolent lions that seemed to stare right through us, tracking a leopard until we were able to photograph it at its treetop lair (an image captured for a lifetime on our memory cards!) and the various wildlife encounters out in the bush (on foot, at night and often twice daily!). These moments didn’t just leave a lasting impression, they became rooted in our consciousness, leaving us with a deep and abiding connection with nature. 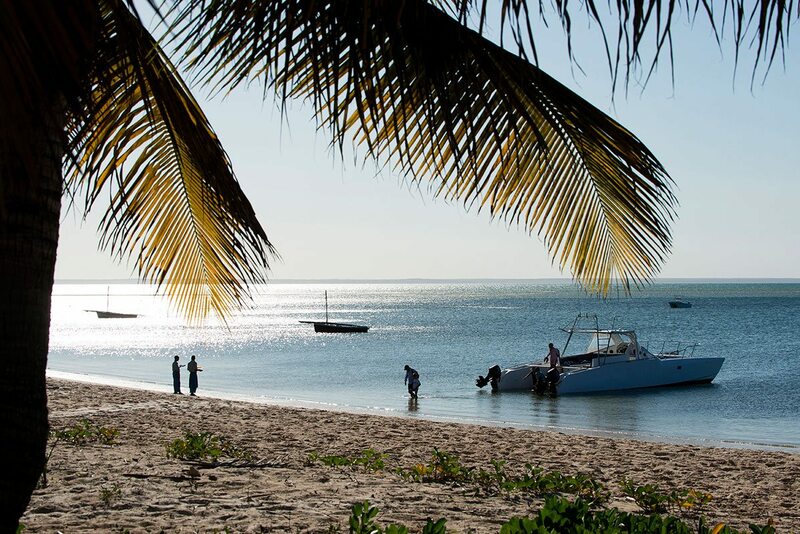 When you take into account our island holiday on the Bazaruto Archipelago, and the incredible marine safaris we experienced there, it wouldn’t be an exaggeration to say it was almost transformative – we started our holiday as ordinary city folk and left as keen environmental custodians, passionate about conserving wildlife sanctuaries. 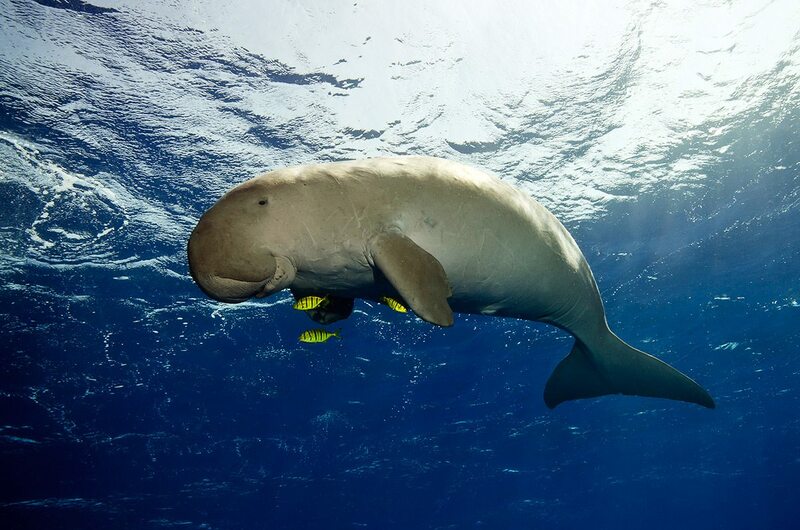 After all, we wanted our children to see the miracle of an dugong ‘standing’ in the ocean to breathe, to discover fantasy coral worlds and build sandcastles on a sandbar that’s there for a brief moment in time, only to reappear with the changing tides, never the same. Whether we were on safari in a nature reserve, relaxing on an idyllic beach or enjoying action-packed adventure, it was always at our own pace. Our luxury safari and beach holiday was everything we could have asked for – and more. You’ll be met as you disembark from your international flight at OR Tambo International Airport in Johannesburg, and assisted through customs and immigration. 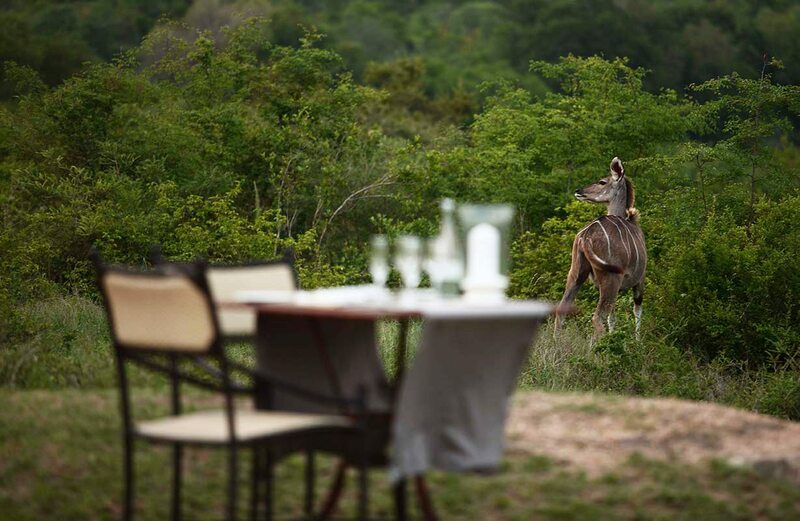 After a scheduled flight to the Greater Kruger, you’ll take a transfer to Kirkman’s Kamp in Sabi Sands Game Reserve, where you’ll spend four nights. After a transfer from Kirkman’s Kamp to the airport, you’ll take a scheduled flight to Mpumalanga, and another to Vilanculos in Mozambique. 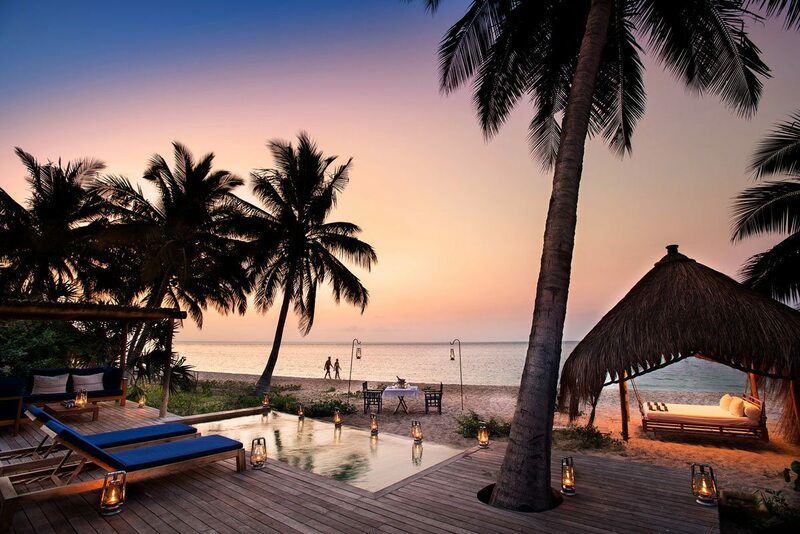 A helicopter will take you to Benguerra Island Lodge, where you’ll spend six nights. 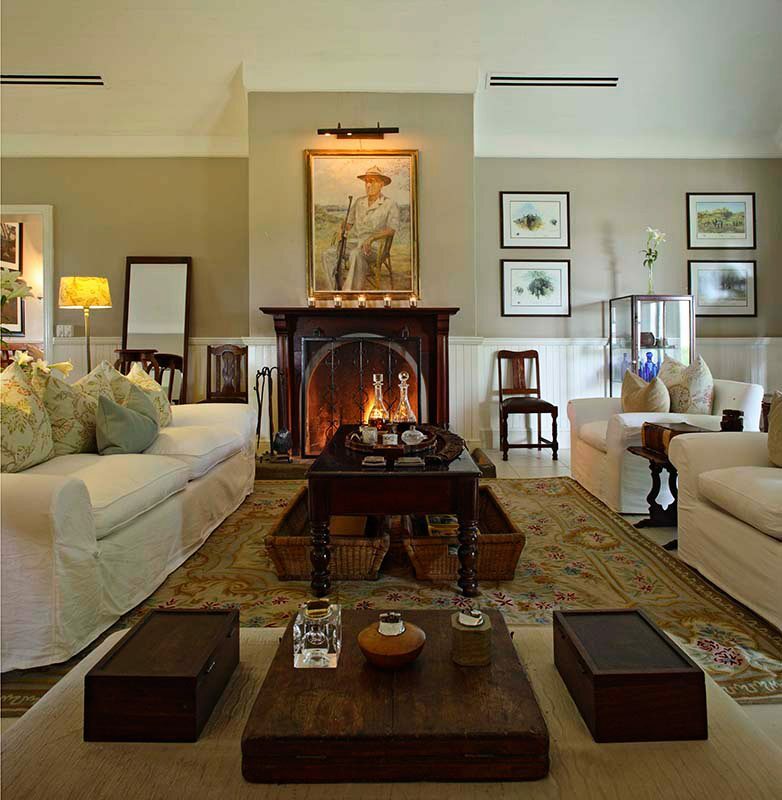 A helicopter will take you from Benguerra Island Lodge to Vilanculos, where you’ll take a scheduled flight to OR Tambo International Airport in Johannesburg to connect with your ongoing flight.